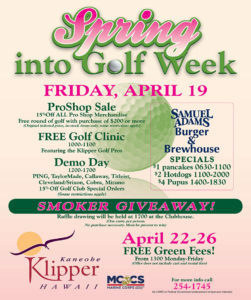 Participate in our Free Golf Clinic @ 1000. 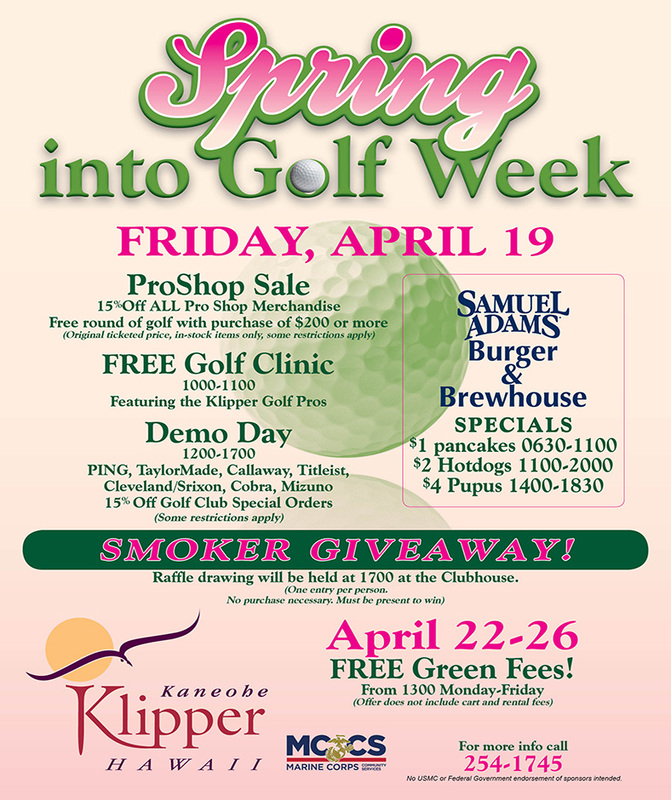 Come see demonstrations by PING, Callaway, TaylorMade, Titleist, Cleveland/Srixon, Cobra and Mizuno from 1200-1700. Take advantage of discounts on Pro Shop merchandise all day long! Enjoy food specials at Samuel Adams! Get your ticket for a chance to win a smoker in the raffle drawing at 1700. Free Green Fees from 1300 (does not include cart and rental fees).